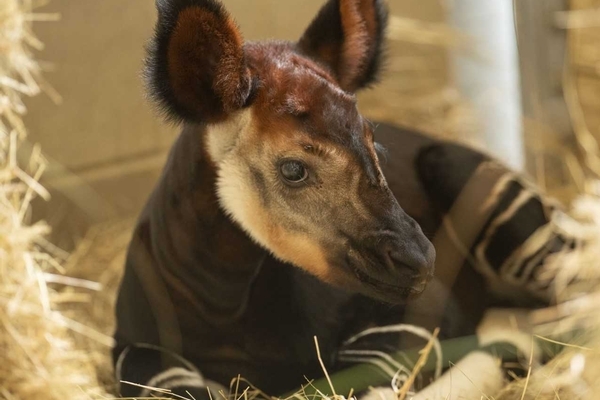 The Walt Disney World Resort celebrated World Okapi Day Thursday by announcing the birth of an okapi at the Animal Kingdom Lodge. The calf was born October 1, weighed 54 pounds and was mobile within the first hour of his birth. He is currently spending time with his mother Zelda and father Mandazi and will be kept in a backstage habitat for the next several months before joining the other animals on the savanna. Officials at Disney’s Animal Kingdom Lodge are working with the calf to ensure he bonds with his mother, nurses properly and attains all significant maturation milestones. The calf is an offspring of the breeding process laid out by the Species Survival Plan. There is an estimated 20,000 okapi in the world and Disney is working to keep the species thriving as poaching and habitat loss are causing population drops. The animals can be found primarily in the rainforests of the Democratic Republic of the Congo. Disney remains at the forefront of okapi conservation, through the Disney Conservation Fund and the Okapi Conservation Project, which created World Okapi Day to generate awareness for the endangered mammal.